Caffeinated drinks, such as coffee and colas, and spicy food, such as curries or hot peppers, can cause sweating, especially on your face and head. So can alcohol. Keep a food and drink journal to help you identify which foods or drinks make you sweat heavily. Also, use milder herbs instead of strong spices to add flavor to food. Bathe or shower daily, using a mild cleanser. You may feel the need to shower more than once a day. If odor bothers you, try using an antibacterial soap to reduce bacteria on the skin. 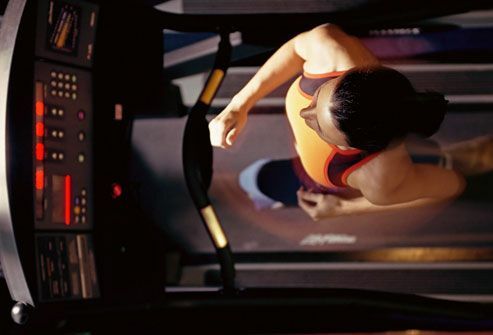 When bacteria mix with sweat, they cause odor. Be sure to dry off completely, since bacteria and germs thrive in dampness. If menopause causes hot flashes or night sweats, many remedies are available. Apply a cool, wet washcloth to your skin or drink ice water for relief. Prescription medications and hormone therapy may also relieve hot flashes. Many women try alternative therapies -- soy, black cohosh, dong quai root, ginseng, kava, red clover, or DHEA -- but there's no conclusive proof they work. Talk to your doctor to decide what’s best for you. Loose-fitting clothes and natural fabrics like cotton let air circulate around the skin, which slows the buildup of moisture. When you exercise, wear wicking fabrics that pull moisture away from your skin. Keep an extra shirt or jacket handy in case your sweating becomes excessive. Patterned, black, or white clothes hide sweat stains especially well. It's a vicious circle. Stress can cause sweating, and excessive perspiration can cause stress. 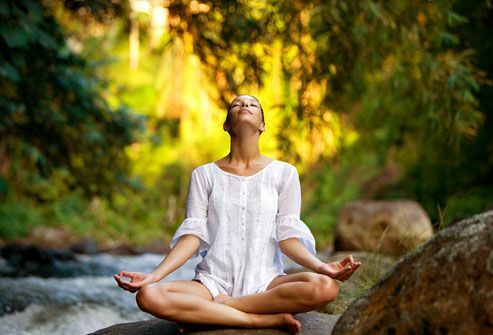 Relaxation techniques such as yoga, meditation, deep breathing, and biofeedback can help control your triggers and lessen the effects of sweating. Join a yoga class, pick up a guided imagery CD, or just set aside a little time every day to meditate. Aluminum-based antiperspirants work by blocking sweat gland ducts. 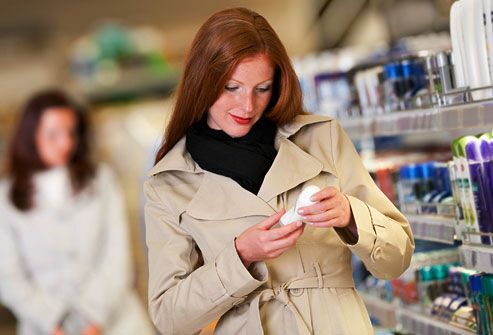 For mild symptoms, products are available in stores. Apply a thin layer of antiperspirant to towel-dried skin before bed. The active ingredients can start working while you sleep. Then reapply in the morning. Deodorants reduce odor, but don’t affect wetness. For severe symptoms, your doctor may recommend a prescription-strength antiperspirant. If sweaty feet are a problem, avoid pantyhose. Wear socks made from cotton or materials that wick moisture from the skin, and change socks often. Make sure shoes are completely dry before you wear them again. This may mean not wearing the same shoes two days in a row. Absorbent insoles may also be helpful. Go barefoot whenever possible. Antiperspirants aren’t just for underarms. You can use them on your feet and hands, too. Lower temperatures at home and at work can help reduce sweating. Run a fan or air conditioner. Or open the windows to keep air moving. Drink plenty of cold water and take cool showers or baths. Dress in layered clothing so you can remove or add layers as the temperature changes. In summer, stay out of the sun and do strenuous activities in the morning. Obesity, smoking, and drinking alcohol can cause or intensify heavy sweating. So maintain a healthy weight, say no to cigarettes, and limit excessive alcohol consumption. Not only will you reduce sweating, but you'll also feel better and reduce the risk of many diseases. Wet skin folds are prone to irritant dermatitis and infection. Use underarm liners -- small pads that attach to clothes -- to absorb sweat and protect your clothing. Change clothes daily. Launder them regularly. And be sure to dry clothes thoroughly before wearing them. If excessive sweating causes problems in your life, talk to a doctor about treatments. Botox injections, low-level electrical currents, and some medications can help reduce heavy sweating. Call a doctor right away if you also have fever, weight loss, chest pain, or a rapid heartbeat. Sweating accompanied by any of these symptoms can be a sign of a serious health problem like thyroid disease, tumors, infection, or heart disease. American Academy of Family Physicians: "Hyperhidrosis." International Hyperhidrosis Society: "Primary Focal Hyperhidrosis," "Everyday Solutions," "Know Sweat 101: Tips to Manage Excessive Sweating for All Ages," "Antiperspirants." 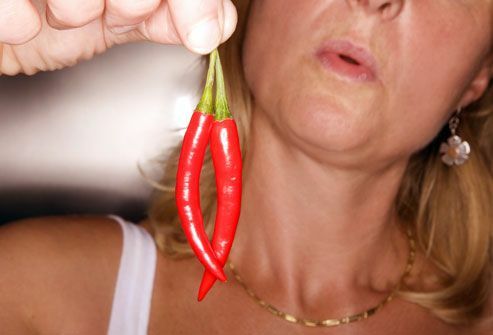 The North American Menopause Society: "The Heat Is On: 5 Fixes for Hot Flashes." Stolman, L. Eplasty, April 2008; vol 8: pp e22.